Boston Closet Company designs custom closets to create functional storage solutions for bedrooms and other spaces in the home. Whether you need an organization system in place for clothing, linens or household cleaning supplies, we can help. Using durable materials that come in various styles and colors, we can build a custom closet system that will be both useful and visually pleasing. 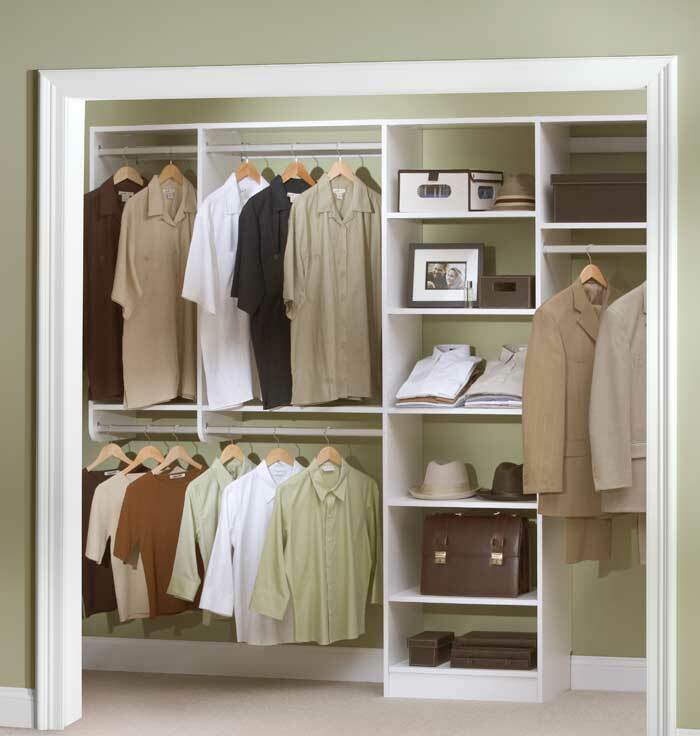 We have experience working with closets of all sizes. From spacious walk-in closets, to tight hallway linen closets, there is no space too small or too large to create efficient storage solutions. Each closet has a unique purpose, which is why we combine durable shelving and closet accessories to maximize every inch of space. Walk-in closets offer even more accessory options, including an island with drawers and resting benches. These features help your bedroom closet feel more like a retreat and less like a hamper for dirty laundry. Let the team at Boston Closet Company help your space reach its full potential with a custom closet design. Our team completes a free in-home consultation and helps you determine which storage solutions will work best in your space. Contact us today to request your free quote!